Tweets are, in a perfect world, brilliant and witty 280-maximum character comments, and peeps are those who follow you. Besides offering instant information, Twitter can be exciting, it can be aggravating, and, on an occasion or two, it can be downright fun. What makes it enjoyable for me is what makes most things enjoyable—the people. They are diverse, spunky, irreverent and all those things that make us uniquely human. It was on Twitter that I met Elizabeth Leonard. 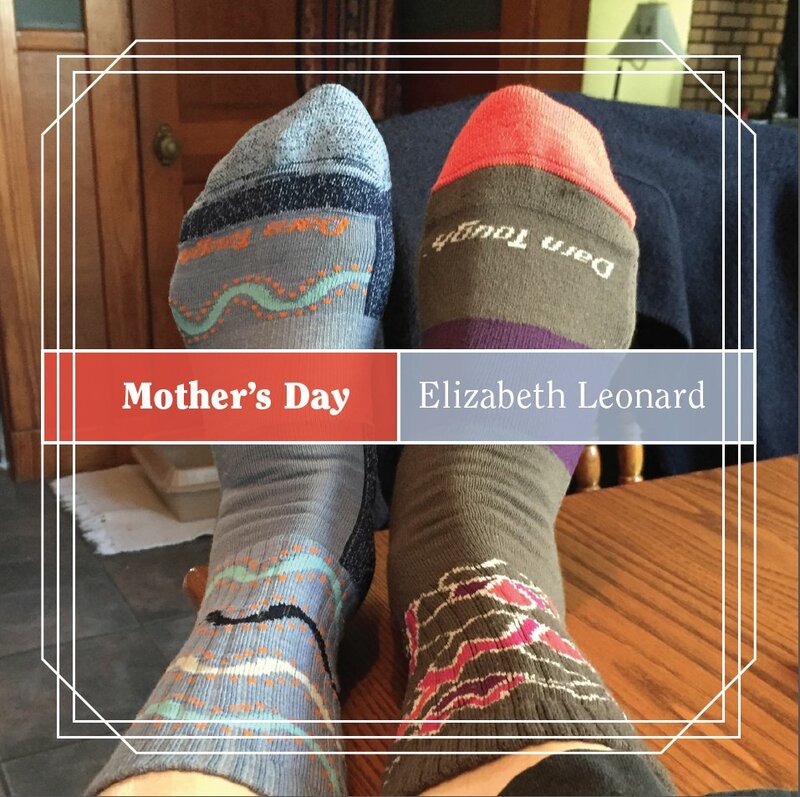 Elizabeth is a Professor of History at Colby College in Maine, a Civil War historian, and an author. 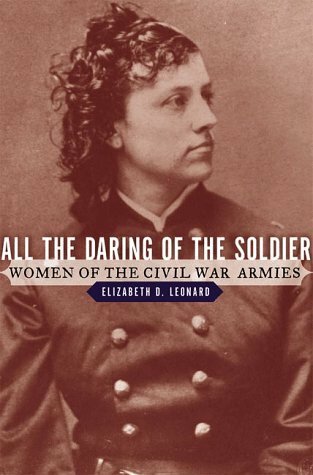 Two of her books examine the roles of women in the Civil War. Yankee Women: Gender Battles in the Civil War, shares the experience of three women who stepped outside traditional roles to serve in the Union Army, and All the Daring of the Soldier: Women of the Civil War Armies, discusses the varied reasons and roles of women who joined on both sides of the conflict. Other books from Professor Leonard include: Lincoln's Avengers: Justice, Revenge, and Reunion after the Civil War; Men of Color to Arms! Black Soldiers, Indian Wars, and the Quest for Equality; and Lincoln’s Forgotten Ally: Judge Advocate General Joseph Holt of Kentucky. Those endeavors alone are enough to keep a person busy full time, but the professor is also a guitarist, singer/song writer, a political activist and a knitter. A few weeks ago, to my good fortune, I noticed a tweet announcing the release of her new CD “Mother’s Day.” After several days listening to the delightful collection, it occurred to me to share my thoughts, and, with the author’s permission, a few snippets from the recording. 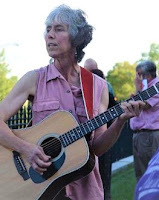 The music is American folk, a genre that musician Mike Seeger (Pete’s half-brother) defined as “all the music that fits between the cracks.” Folk musicians are story tellers, and Leonard’s knowledge of history and her story telling talents are evident in a number of songs. Also evident is her dedication to imagining and working toward the best for our country, our world, and humanity. Her music draws inspiration from what she sees around her, and she in turn stirs us with her music. Take a few minutes to listen and read, and, if you’re like me, you’ll catch the underlying sense of hope for our future because strength and resilience exists in each of us. Being a long-time feminist, I was moved by the song We’re Still Here. The CD liner notes explain that it was inspired by “wonderful, clever signs” at the recent women’s marches. We are, we are, we are here. Working our magic for a better world. Working our magic for a future without fear. Still fighting for equality at work and at home. Fighting for justice and a future without fear. Most of us are familiar with this country’s long struggle to end bigotry and hate, but decades of research focused on race and gender in the Civil War give Elizabeth Leonard unique and expansive insight. The Battle of Charlottesville offers a painful reminder that events in Charlottesville, Virginia in August of 2017, show the long way we still have to go. is not who we are, well I disagree. All the ones who bled and died that summer day. Where white bigotry and hatred were so proudly on display. Who we are is not who we must be. We’ll set each other free. There are 14 diverse and thought-provoking songs on this recording. I love them all. Each evoke images—from a fist clenched in protest to a mother’s hands meditatively knitting; from humanity gathered for battle, to humanity gathered in love and support. This old folk music fan found the voices, words and instruments akin to a warm, embracing hug, and the sad and angry refrains reminded me that I am not alone in the struggle as our nation searches for who we are, and who we will become. I have hope for us, for our country, and for our world. I have hope because of the work people like Elizabeth Leonard contribute creatively, intellectually, emotionally and physically to move us forward so that someday we can say—with our heads high and our hearts open—this IS who we are! One final song, because it makes me smile and because, should reincarnation indeed be what the future holds, I know my preference If I Get to Come Back. I always say, if I get to come back. I don’t need a pedigree, papers or plaques. I don’t need a castle, or a throne with gold tassels. Just let me return as a pampered house cat. I don’t really care if I’m white, brown or black. Docile or crabby, calico or tabby. This article was originally published on Me-AtLast. 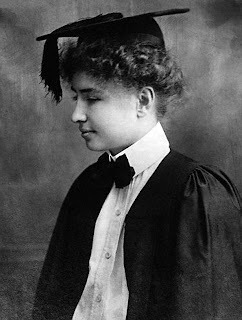 Helen Keller was born on June 22, 1880, in Tuscumbia, Alabama with both sight and hearing. At 19 months, she contracted a disease that although short lived, left her deaf and blind. The story of her astonishing achievements against what seemed impossible odds inspired movies, newspaper and magazine articles, and books. 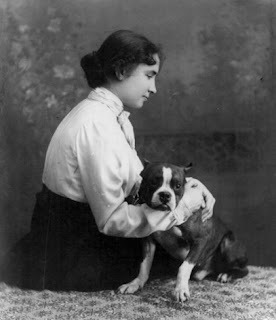 Many focused on the years with her teacher, Anne Sullivan, which is why she is often remembered as an author and lecturer who worked tirelessly for the blind and deaf around the world. It may also be why she is less known for her active role in labor movements, woman suffrage, socialism, and pacifism. Her passionate and sometimes vocal involvement annoyed people who believed a person with disabilities (and women) should remain silent. Southern relatives disapproved of her support of the NAACP and her involvement in the establishment of the ACLU. The Nazis burned her books, and her writings and activities interested the United States government enough to earn her a file with the FBI. As she became more vocal, her fame came under attack. Some even claimed her political leanings were because of her disabilities. I suppose that could hold a grain of truth. It was because of her disabilities that she began working for others like her, and became aware of the disproportionate numbers of disabled in lower income brackets. It was not criticism of her beliefs that prompted her to soften her Socialist rhetoric, but rather an overwhelming desire to further the work of the American Foundation for the Blind (AFB). She was afraid her own political views would take away support from the organization. That did not stop her from working for her causes. She continued less visibly, but with equal passion. The aim of all government should be to secure to the workers as large a share as possible of the fruits of their toil. For is it not labor that creates all things? 1924 letter to Senator Robert M. La Follette from Helen Keller. When Helen graduated from Radcliffe in 1904, she had already published her autobiography The Story of My Life, 1902, and Optimism an Essay, 1903. "Anyone that reads intelligently knows that some of our old ideas are up a tree, and that traditions are scurrying away before the advance of their everlasting enemy, the questioning mind of a new age. It is time to take a good look at human affairs in the light of new conditions and new ideas, and the tradition that man is the natural master of the destiny of the race is one of the first to suffer investigation. "I am sending the check which Mr. Davis paid me for the Christmas sentiments I sent him. Will you give it to the brave girls who are striving so courageously to bring about the emancipation of the workers at Little Falls? They have my warmest sympathy. Their cause is my cause. If they are denied a living wage, I also am denied. While they are industrial slaves, I cannot be free. My hunger is not satisfied while they are unfed. I cannot enjoy the good things of life which come to me, if they are hindered and neglected, I want all the workers of the world to have sufficient money to provide the elements of a normal standard of living—a decent home, healthful surroundings, opportunity for education and recreation. I want them all to have the same blessings that I have. I, deaf and blind, have been helped to overcome many obstacles. I want them to be helped as generously in a struggle which resembles my own in many ways." "The structure of a society built upon such wrong basic principles is bound to retard the development of all men, even the most successful ones because it tends to divert man's energies into useless channels and to degrade his character. The result is a false standard of values. Trade and material prosperity are held to be the main objects of pursuit and conquest, the lowest instincts in human nature—love of gain, cunning and selfishness—are fostered." In 1932, Helen Keller had the opportunity to visit the top of the Empire State building, after which she received a letter from Dr. John Finley, inquiring about her experience. There was the Hudson – more like the flash of a sword-blade than a noble river. The little island of Manhattan, set like a jewel in its nest of rainbow waters, stared up into my face, and the solar system circled about my head! Why, I thought, the sun and the stars are suburbs of New York, and I never knew it! I had a sort of wild desire to invest in a bit of real estate on one of the planets. All sense of depression and hard times vanished, I felt like being frivolous with the stars. But that was only for a moment. I am too static to feel quite natural in a Star View cottage on the Milky Way, which must be something of a merry-go-round even on quiet days. See the entire letter. Her vision is even more astonishing when you remember it came without sight and hearing. She taught that we are all one. That each of us has something to offer. How many of us "see" with that clarity? The sudden death of her husband, General Nathanial Greene in 1786, left Catherine Littlefield Greene to raise five children and run a struggling plantation. She hired and manager and succeeded in both. In 1792 she rented a room to a young teacher named Eli Whitney, but was less interested in his scholarly work than his mechanical skills. 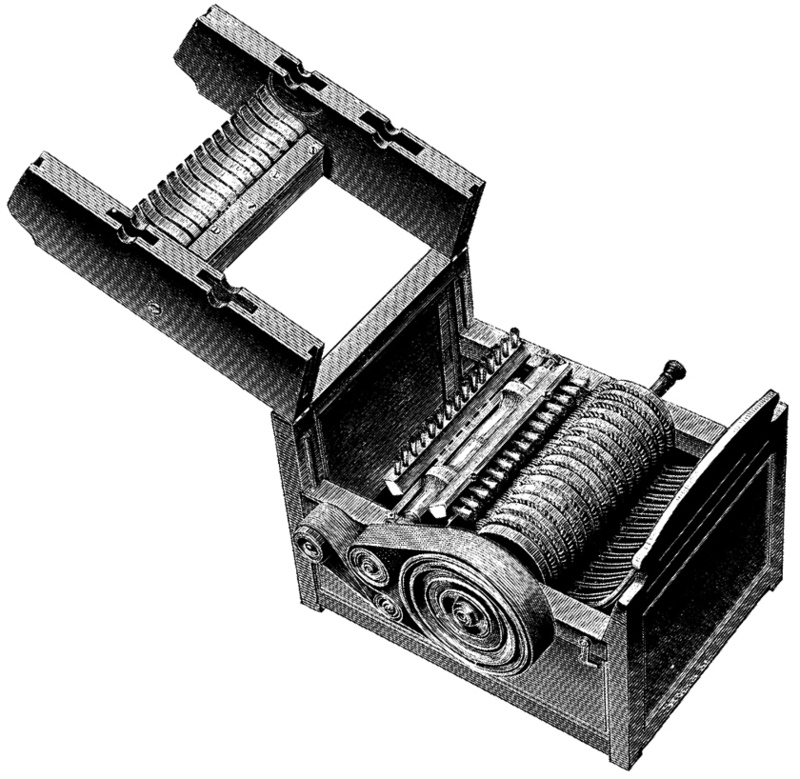 She explained the difficulties of separating the course hulls of green-seed cotton and suggested an idea for a cotton gin. How much involvement she had in the design and construction isn't clear, although there is evidence that Whitney's original design had wooden teeth that didn't work and it was Catherine Green who recommended wire as was used in the successful model. Whitney patented the product and was credited with the invention. He paid Green royalties on the patent. In 1798, twelve year old Betsey Metcalf of Providence, Rhode Island couldn't afford the hat she saw in a shop window and invented a method of braiding straw from her family's barn to make one of her own. Like Catherine Greene, Betsey Metcalf, afraid of social criticism, did not patent her idea. 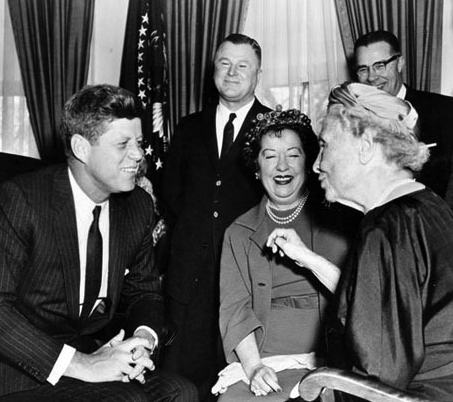 Mary Kies, of Killingly, Connecticut cared little about what the neighbors had to say and applied for and received the patent. Because of these women and a ban on imports, the straw hat industry grew rapidly in New England. Are you familiar with the Tennessee River Campaign of 1862? An investigation into the Civil War would tell you it was considered by many as the Union army's first major success. Further research would credit Ulysses S. Grant with the campaign's triumph but might not reveal that the plan changing the course of the war came from Anna Ella Carroll of Maryland. Assistant Secretary of War Thomas A. Scott and others at the War Department recognized the strategy was written by a military genius—a genius known as A.E. Carroll. 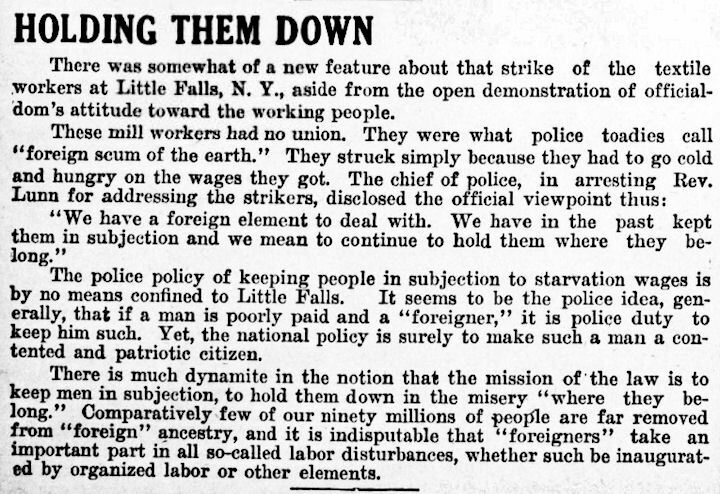 After the war, an attempt to enter Carroll's role in the official record was squelched for fear that it would outrage the general population to find the war had been directed not only by a civilian, but a female civilian. She received no compensation or credit for the action that saved the union. But, this post is not about Catherine Green, Betsey Metcalf, or Anna Ella Carroll. So why all these interesting facts? I learned about Greene and Metcalf from a pamphlet called Woman as Inventor written by Matilda Josyln Gage and published by the New York Woman Suffrage Association in 1883. A piece called Who Planned the Tennessee Campaign of 1862: A few generally unknown facts in regard to our Civil War, also by Gage, revealed the remarkable story of Anna Ella Carroll. You might be familiar with Matilda Gage for her role as co-editor with Elizabeth Cady Stanton and Susan B. Anthony of the first three volumes of The History of Woman Suffrage (1881-1887). Or, you might have read the book written five years before her death, Woman, Church and State. It is more likely that you know very little about Gage. Matilda Electa Joslyn, an abolitionist, suffragist, author, lecturer, and radical thinker, was born in Cicero, New York in 1826. Her family home was a stop on the Underground Railroad. After her marriage in 1845 to Henry Hill Gage, their home also became a stop. In 1848, with small children at home, Gage was unable to attend the first National Women's Rights Convention in Seneca Falls, New York. She made her public speaking debut in 1852 at the Syracuse convention. The movement, on hold during the Civil War, reconvened as the American Equal Rights Association, but with growing internal friction. Gage opposed supporting the ratification of the 15th Amendment unless it allowed votes for women. Others felt that securing the vote for all men would help women. The amendment, ratified in February of 1870, said: "The right of citizens of the United States to vote shall not be denied or abridged by the United States or by any State on account of race, color, or previous condition of servitude." 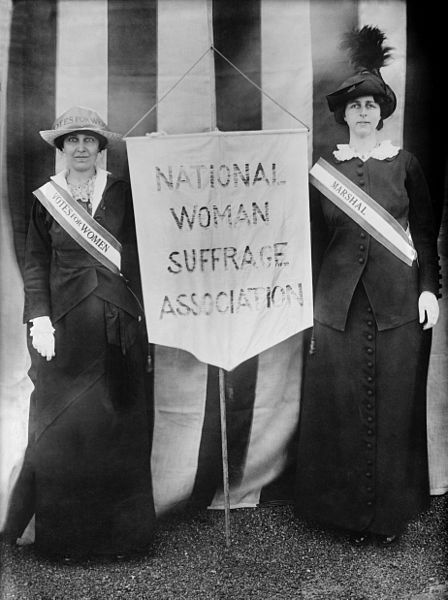 In 1869, Gage, Anthony, and Stanton founded the National Woman Suffrage Association. Two years later, Gage and other members tried to vote, only to find that women were not considered citizens. In 1872, Susan B. Anthony successfully cast a vote and was arrested. Gage said: "Susan B. Anthony is not on trial; the United States is on trial." The National Citizen will advocate the principle that Suffrage is the Citizen's right and should be protected by National Law, and that while States may regulate the suffrage, they should have no power to abolish it. It will support no political party until one arises which is biased upon the exact and permanent political equality of man and woman. The National Citizen will have an eye upon struggling women abroad, and endeavor to keep its readers informed of the progress of women in foreign countries. As nothing is quite as good as it may yet be made, the National Citizen will, in as far as possible, revolutionize the country, striving to make it live up to its own fundamental principles and become in reality what it is but in name—a genuine Republic. Gage's radical views became unpopular with the increasingly conservative movement. 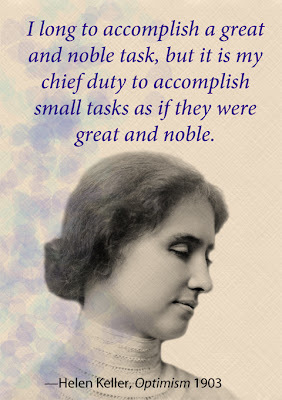 In 1890, she left the organization to found the Women’s National Liberal Union, fighting religious fundamentalists working to amend the Constitution and proclaim the United States a Christian nation. In 1893, she published Woman, Church and State and made clear her belief that the church was the greatest oppressor of women. I believe those views contributed to her near complete omission from historical records. 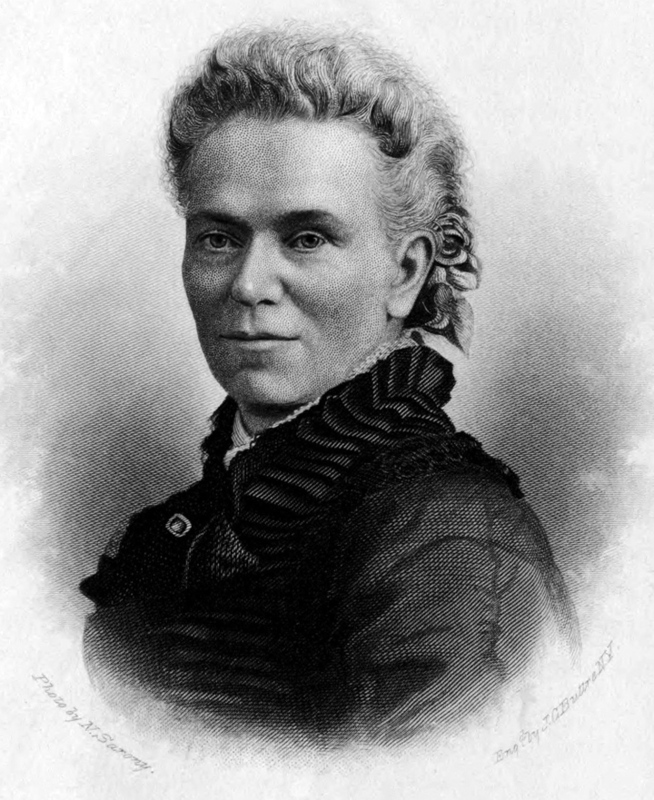 But Matilda Joslyn Gage is not forgotten. Not completely. A growing amount of information is available, much because of another remarkable women, Dr. Sally Roesch Wagner. Sally Roesch Wagner portrays Matilda Joslyn Gage at Bioneers in October of 2009. Problems with the video? Try this link: Sally Roesch Wagner's website. 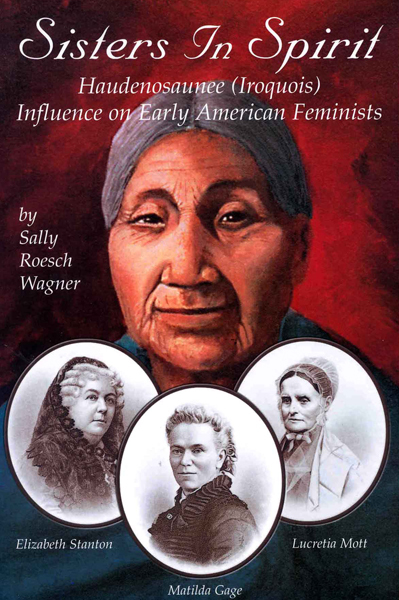 It was Sally Roesch Wagner's book Sisters in Spirit that prompted this month's post. In it, Wagner tells the remarkable story of how Native American women influenced our nation's early feminist. As we face another critical moment in the struggle for equality, the work of previous women must not be forgotten. Their voices will remain silent only if we allow that to happen. I recently read Dorothea Tanning's autobiography Between Lives: An Artist and Her World, published in 2001. Tanning died on January 31, 2012, at her home in New York. She was 101. The previous year, she published her second book of poetry, Coming to That. An artist, poet, and sculptor, Tanning is, unfortunately, more widely known as the wife of Max Ernst. 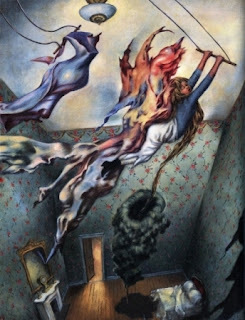 As unfortunate as that might be, it troubled her less than to find her name permanently identified with surrealism. Although she was a member of the early movement, a style change in the mid-fifties took her to another level as an artist. She was born August 25, 1910 in Galesburg, Illinois, about 50 miles east of the Mississippi River and 200 miles west of Chicago in the nation's heartland. It was a place she described as "…where you sat on the davenport and waited to grow up". At 16 Dorothea worked at the library and after high school attended Knox College, "the college that tried to teach me something, anything." But she was not a Midwestern girl at heart, having decided at age seven to live in Paris. At 20 she moved to Chicago to become an artist, concluding that it was on the way to Paris. I like to think of it [my life] as a garden, planted in 1910 and, like any garden, always changing. There are expansions and diminishments as well as replacements, prunings, additions. One person’s garden, one person’s life. So far. Shortly after her arrival in Chicago, she found a job as a hostess and attended drawing classes at The Chicago Academy of Art. Her teacher had little hope for her artistic talents, and as soon as she realized the school leaned toward commercial art, she had little hope of a lasting relationship. It was the only formal art training Tanning received and learned to paint by studying others' work. After losing her job at the restaurant, a move seemed inevitable. With $25 dollars in her pocket, she took one step closer to Paris—New York City. In many ways, New York was no different than Chicago. 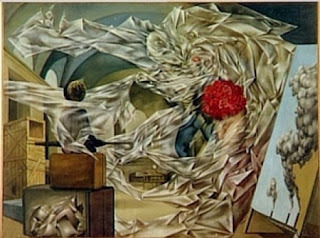 She shared a flat with another woman artist and did odd jobs to pay the rent, but in 1936 she saw the Fantastic Art, Dada, and Surrealism exhibition at New York’s Museum of Modern Art and was changed forever. "But here, here in the museum, is the real explosion, rocking me on my run-over heels. Here is the infinitely faceted world I must have been waiting for. 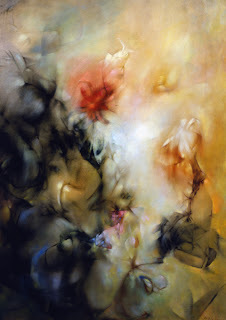 Here is the limitless expanse of possibility, a perspective having only incidentally to do with painting on surfaces. Here, gathered inside an innocent concrete building, are signposts so imperious, so laden, so seductive, and, yes, so perverse...they would possess me utterly." In 1943, Tanning was one of 31 women chosen for a first of its kind show in New York—all female artists. Also included were Leonore Carrington, Buffie Johnson, Frida Kahlo, Louise Nevelson, Meret Oppenheim, I. 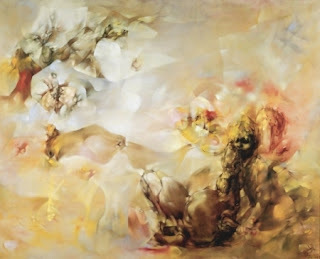 Rice Pereira, Kay Sage, Hedda Sterne, Sophie Taeuber-Arp, Hazel Guggenheim, Pegeen Vail Guggenheim, Barbara Poe Levee, Alice Trumbull Mason, and others. Peggy Guggenheim, who produced the show, was said to have commented later that she should have been satisfied with 30 artists. 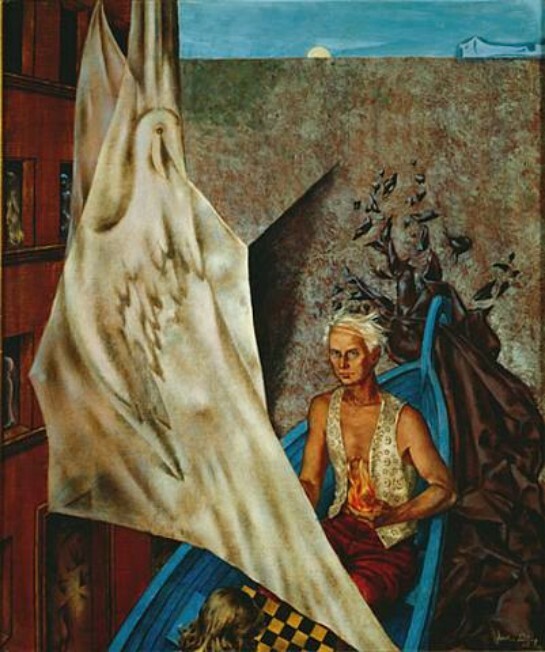 It was her husband, Max Ernst, who was greatly attracted to Tanning's self-portrait, Birthday and suggested her for the show. He was also greatly attracted to the artist. After his initial visit, Dorothea and Ernst played chess every day for a week. Then he moved in and they stayed together until Max's death in 1976. The couple moved to Sedona, Arizona in 1946 and built a two room house. The shelter, though sturdy, lacked running water and electricity. Eventually those needs were met and kerosene lights gave way to incandescent bulbs and a well and pump supplied tap water. Even before their arrival, Tanning painted. Over the next three years she created Guardian Angels, Palaestra, Max in a Blue Boat, Maternity, A Very Happy Picture, Avatar, and others. In 1949, Dorothea and Max moved to Paris. I think I’ve been a renaissance man—if he could have been a woman. In the mid 50s, although the surrealist movement continued, Tanning was once again ready for change. That change came in her painting. In Between Lives she wrote that "Around 1955, my canvases literally splintered. Their colors came out of the closet, you might say, to open the rectangles to a different light. 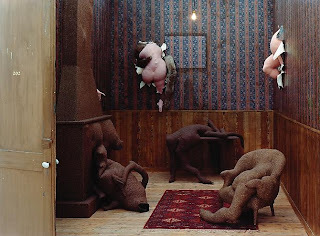 They were prismatic surfaces where I veiled, suggested, and floated my persistent icons and preoccupations, in another of the thousand ways of saying the same things"
By the late 60s and into the early 70s, Tanning experimented with soft sculptures. Of one called Canapé en temps de pluie (Sofa on a Rainy Day) she said the work "...was, more than anything, a challenge to myself, a bet that I made with myself, and only me, that I would give real physical life to a bunch of tweeds and stuffing." Dorothea Tanning: Birthday and Beyond. Exhibition brochure. Philadelphia: Philadelphia Museum of Art, 2000. 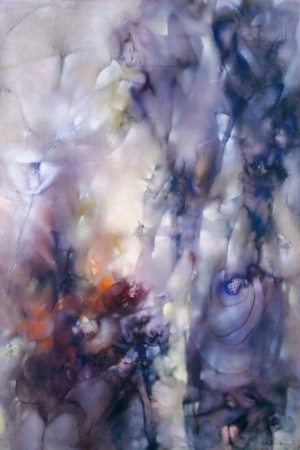 1998 | Oil on canvas | 56 x 66 in. After the death of Max Ernst in 1976, Tanning felt unable to paint. Her good friend, poet James Merrill, convinced her to work. 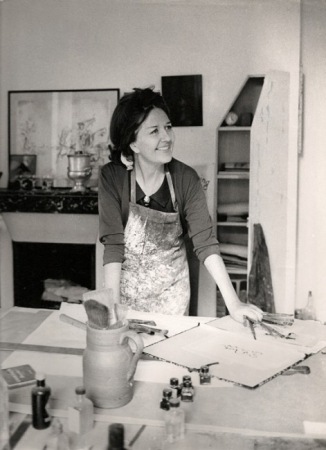 He “more than anyone at that point of my life, made me realize that living was still wonderful even though I felt that my loss, Max, had left nothing but ashes.” In 1979 she returned to New York and painted for the next 20 years, publishing her first memoir, Birthday, in 1986. 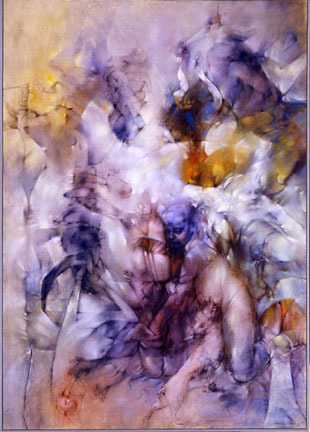 In 1998 Dorothea did a series of twelve paintings that were published along with poetry by various writers whose work she admired, Adrienne Rich, John Ashbery, James Merrill, and others, in Another Language of Flowers. "A new hybrid of flower has always occasioned celebration by gardeners and amateur botanists everywhere. It is hard to think of anything more innocently irresistible than a flower, new or familiar, while an imagined one must surely bring a special frisson of excitement. 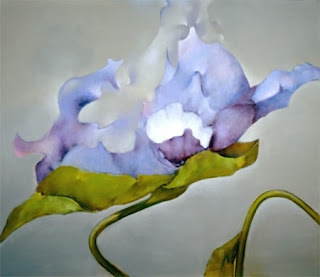 Or so I thought, on the day in June when such a flower grew in my mind's eye and demanded to be painted. 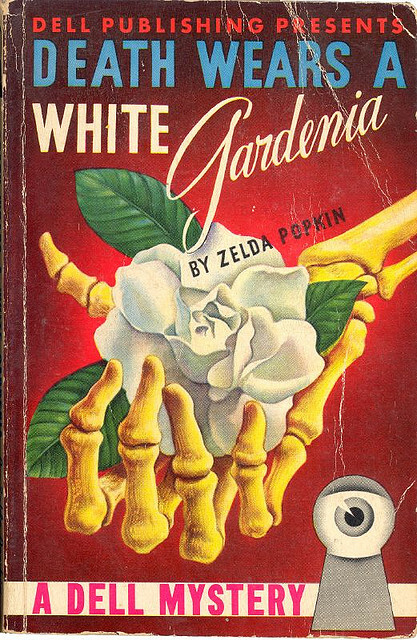 Once begun, the experiment widened into an entire garden. They bloomed all at once, as if to race with a short summer, and soon there were twelve canvases of twelve flowers waiting to be named. 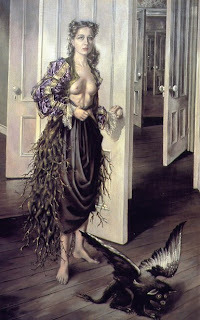 Dorothea Tanning: Birthday and Beyond. Exhibition brochure. Philadelphia: Philadelphia Museum of Art, 2000. One would think that was a large enough portfolio for anyone. Not so for Dorothea Tanning. In the late 1990s, she began writing poetry and published her first collection, A Table of Content in 2004, and her second, Coming to That, in 2011. Reading her poetry, actually any of her writing, is much like looking at her paintings. She presents life from a different perspective, a little unsettling, but familiar and at times, amusing. If you find yourself on public transportation in New York, you could be inspired by this Tanning poem posted in subway cars for the Poetry in Motion program. This is a small sample of the prolific artist, and I have to admit, it was difficult to choose favorites. Why did we not hear more about this remarkable woman? Why is she not as well known as those with whom she lived and worked? I can't answer that, but I can share. 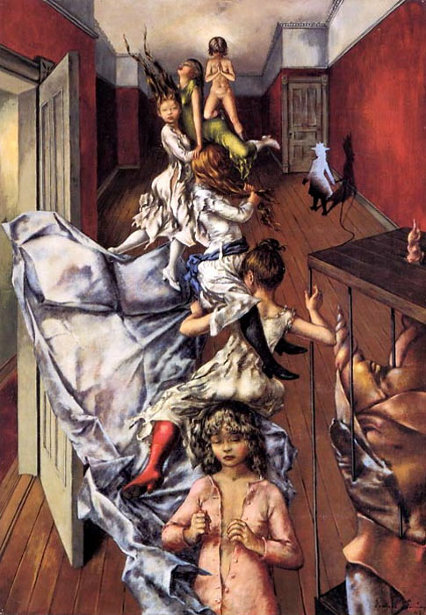 Visit the vast collection of work by Dorothea Tanning at her website and enjoy. For many, the name Colette conjures vague images of a French dancer with a questionable reputation...and didn't she do some writing? In the U.S. she is best known for Gigi, published in 1945 when she was seventy-two. There were over fifty novels written before that. 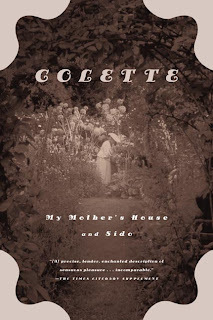 Colette was born Sidonie-Gabrielle Colette on January 28, 1873 in Saint-Sauveur-en-Puisaye, France. Her father, Jules-Joseph Colette, retired from the army and worked as a tax collector. Her mother, Adele Eugenia Sidonie Landois, Sido—a wise, down-to-earth Maman—became known to many through Colette's stories, My Mother's House and Sido. 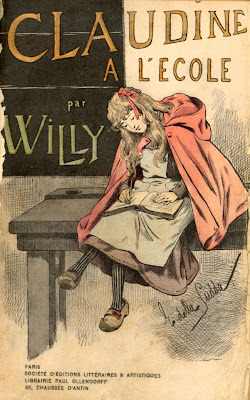 Her first books, the Claudine series, were published between 1900 and 1903 under her husband Henri Gauthier-Villarspen's pen name "Willy". She was 20 when she married Henri, 14 years her senior. It was said that he locked her in a room, refusing to release her until she'd written a few tantalizing chapters of her escapades at boarding school. 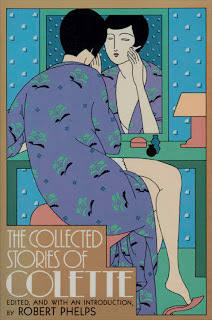 There were five books in the series from which came a line of Claudine products. Everything from cigarettes and perfume to chocolates and cosmetics made Gauthier-Villars a wealthy man. Things did not go as well for Colette who divorced him in 1906 and supported herself as a dancer and a mime in Parisian music halls. She reportedly pained over every word, and yet her writing flows sensually whether the topic is food, a garden, or a lover. It is, no doubt, that sensuality that stokes her reputation. At a time when women were told to learn to write like men, Colette was unapologetic about her gender or the passion of her writing. She wrote with the same intensity that she lived, and she lived a remarkable life. She was equally adept at stunning descriptive prose as she was at sometimes vicious humor. Her words entice you to love and hate as she does, yearn for a visit to her childhood home, learn French, or join a group of friends for a long dinner instead of the brief encounters so common these days. Her efforts did not go unacknowledged. She was the first woman admitted to the prestigious Goncourt Academy and in 1953 was elected to the Legion of Honour. She died in 1954. I've done a great deal of reading by and about Colette, but she was complex, and it is difficult to judge from her writings what is autobiographical and what is fiction. What I do know is that her writing engages me on many levels. I'll let you judge for yourself. The night was murmurous and warmer than the day. Three or four lighted windows, the clouded sky patched here and there with stars, the cry of some night bird over this unfamiliar place made my throat tighten with anguish. It was an anguish without depth; a longing to weep which I could master as soon as I felt it rise. I was glad of it because it proved that I could still savor the special taste of loneliness. Everything rushes onward, and I stay where I am. Do I not already feel more pleasure in comparing this spring with others that are past than in welcoming it? The torpor is blissful enough, but too aware of its own weight. And though my ecstasy is genuine and spontaneous, it no longer finds expression. "Oh, look at those yellow cowslips! And the soapwort! And the unicorn tips of the lords and ladies are showing!..." But the cowslip, that wild primula, is a humble flower, and how can the uncertain mauve of the watery soapwort compare with a glowing peach tree? Its value for me lies in the stream that watered it between my tenth and fifteenth years. The slender cowslip, all stalk and rudimentary in blossom, still clings by a frail root to the meadow where I used to gather hundreds to straddle them along a string and then tie them into round balls, cool projectiles that struck the cheek like a rough wet kiss. My thoughts turn to the house, to the fire and the lamp; there are books and cushions and a bunch of dahlias the color of dark blood; in these short afternoons, when the early evenings turn the bay windows blue, decidedly it's time to be indoors. Already on the tops of the walls on the still-warm slates of the roofs, there appear with tails like plumes, wary ears, cautious paws, and arrogant eyes, those new masters of our gardens, the cats. A long black tom keeps continual watch on the roof of the empty kennel; and the gentle night, blue with motionless mist that smells of kitchen gardens and the smoke of green wood, is peopled with little velvety phantoms. Claws lacerate the barks of trees, and a feline voice, low and hoarse, begins a thrilling lament that never ends. It was not until one morning when I found the kitchen unwarmed and the blue enamel saucepan hanging on the wall, that I felt my mother's end to be near. Her illness knew many respites, during which the fire flared up again on the hearth, and the smell of fresh bread and melting chocolate stole under the door together with the cat's impatient paw. These respites were periods of unexpected alarms. My mother and the big walnut cupboard were discovered together in a heap at the foot of the stairs, she having determined to transport it in secret from the upper landing to the ground floor. Whereupon my elder brother insisted that my mother should keep still and that an old servant should sleep in the little house. But how could an old servant prevail against a vital energy so youthful and mischievous that it contrived to tempt and lead astray a body already half fettered by death? My brother, returning before sunrise from attending a distant patient, one day caught my mother red-handed in the most wanton of crimes. Dressed in her nightgown, but wearing heavy gardening sabots, her little grey septuagenarian's plait of hair turning up like a scorpion's tail on the nape of her neck, one foot firmly planted on the crosspiece of the beech trestle, her back bent in the attitude of the expert jobber, my mother, rejuvenated by an indescribable expression of guilty enjoyment, in defiance of all her promises and of the freezing morning dew, was sawing logs in her own yard. Come now, this won't do. I'm too clear-sighted this evening, and if I don't pull myself together my dancing will suffer for it. I dance and dance. A beautiful serpent coils itself along the Persian carpet, an Egyptian amphora tilts forward, pouring forth a cascade of perfumed hair, a blue and stormy cloud rises and floats away, a feline beast springs forwards, then recoils, a sphinx, the color of pale sand, reclines at full length, propped on its elbows with hollowed back and straining breasts. I have recovered myself and forget nothing. Do these people really exist, I ask myself? No, they don't. The only real things are dancing, light, freedom, and music. Nothing is real except making rhythm of one's thought and translating it into beautiful gestures. Is not the mere swaying of my back, free from any constraint, an insult to those bodies cramped by their long corsets, and enfeebled by a fashion which insists that they should be thin?" All that could be seen through the window was the August tide, bringing rain in its wake. The earth came to an abrupt end out there, at the edge of the sand hills. One more squall, one more upheaval of the great grey field furrowed with parallel ridges of foam, and the house would surely float away like the ark…but Phil and Vinca knew the August seas of old and their monotonous thunder, as well as the wild, white-capped seas of September. They knew that this corner of a sandy field would remain impassable, and all through their childhood they had scoffed at the frothy foam-scuds that danced powerlessly up to the edge of man's dominion. Lea, leaning on her elbow, looks at him. In the merciful half-light, she shows what a pretty fifty-year-old woman, well cared for and in good health, can show: the bright complexion, somewhat ruddy and a bit weathered, of a natural blonde, shapely, solid shoulders, and celebrated blue eyes which have kept their thick chestnut lashes. But she is now a redhead, because of her hair, which is turning gray. I write with my senses, with my body...all my flesh has a soul. Today, the fictional women who fight crime and solve mysteries are PIs, attorneys, cooks, members of every branch of law enforcement and every imaginable occupation. They are old, young, married, and single, from every race and every corner of the globe. 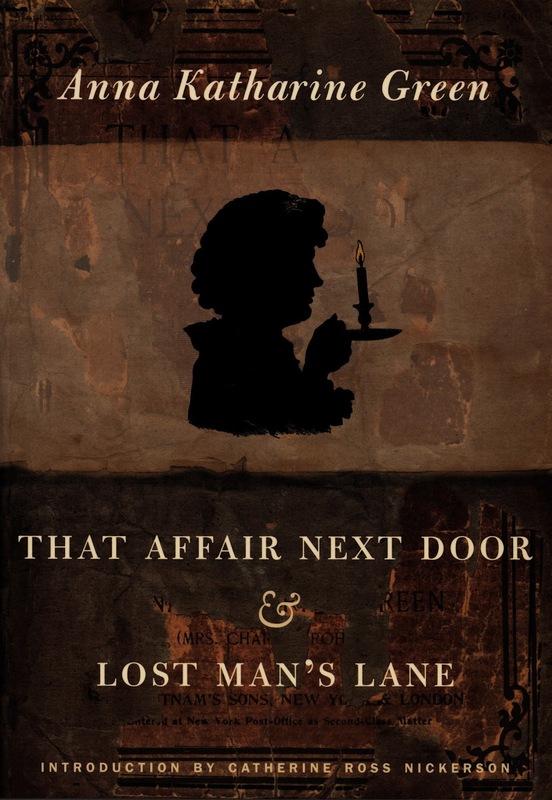 The list is long and satisfying, but this month, I present some of the earlier fictional females sleuths created by women writers when neither act was warmly welcomed. 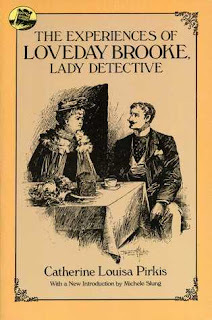 In 1894, author Catherine Louisa Pirkis introduced the Victorian lady sleuth, Loveday Brooke in The Experiences of Loveday Brooke, Lady Detective. Loveday, in her thirties, had been a member of the upper class until circumstances forced her to earn a living. She was unmarried, bright, and too easily bored to settle for traditional 'women's work' and became an agent at a London Detective Agency. Her boss, Ebenezer Dyer had the greatest respect for her sharp mind and deductive reasoning. At a time when Sherlock Holmes brought mysteries to the forefront, Loveday Brooke became the most popular fictional female detective of her day. Pirkis described her "in a series of negations. She was not tall, she was not short; she was not dark, she was not fair; she was neither handsome nor ugly. Her features were altogether nondescript; her one noticeable trait was a habit she had, when absorbed in thought, of dropping her eyelids over her eyes till only a line of eyeball showed, and she appeared to be looking out at the world through a slit, instead of through a window." Free HTML copy of The Experiences of Loveday Brooke, Lady Detective. In 1897, Anna Katharine Green introduced Amelia Butterworth in That Affair Next Door. 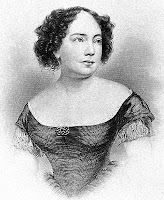 Butterworth was the first notable spinster sleuth in fiction. She offered her not completely welcomed assistance to Green's main character, Detective Ebenezer Gryce of the New York Police. 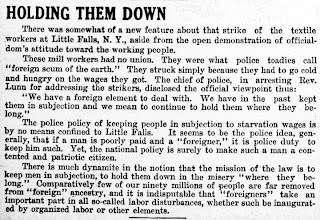 Unlike Brooke, Butterworth was financially comfortable and had little to occupy her time other than observing the comings and goings of her neighbors. It was one of those observations that involved her in a murder investigation. "I am not an inquisitive woman, but when, in the middle of a certain warm night in September, I heard a carriage draw up at the adjoining house and stop, I could not resist the temptation of leaving my bed and taking a peep through the curtains of my window." Although the elderly spinster was seen by most as nosy, Gryce recognized her ability to spot and evaluate important details that many missed. 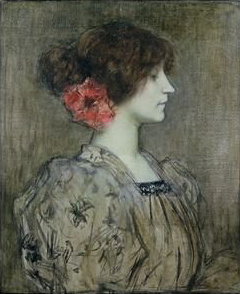 Amelia Butterworth appeared again in Lost Man’s Lane, 1898, and The Circular Study, 1900. 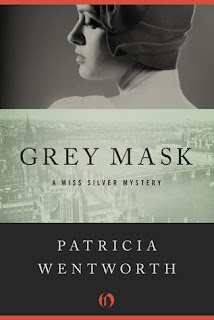 Some believe that Butterworth inspired Patricia Wentworth's Maud Silver, Agatha Christie's Jane Marple, Mary Roberts Rinehart's Rachel Innes, and others. In 1915, Green created the first girl detective in The Golden Slipper and Other Problems for Violet Strange. 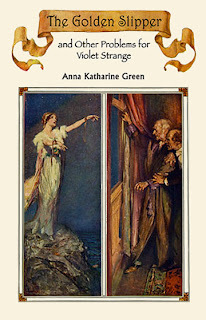 The character, Violet Strange, was a wealthy young woman who took the occasional case to earn money that didn't come from her father. He was quite unaware of her investigations and she was selective about the ones she accepted. "If you have a case of subtlety without crime, one to engage my powers without depressing my spirits, I beg you to let me have it." Download The Golden Slipper from Project Gutenberg. In 1908, Mary Roberts Rinehart, sometimes called 'The American Agatha Christie,' introduced Rachel Innes, a fifty something spinster heiress in The Circular Staircase. In the novel, Innes, along with her niece and nephew rent a house for a summer vacation that turns into a complex web of murder and intrigue that is eventually solved by the heroine. The book became a successful stage play called The Bat. In 1910, Rinehart created a character to voice her feminist beliefs. Letitia (Tish) Carberry was a middle aged spinster who along with her friends Aggie and Lizzie behaved in ways unbecoming and unacceptable in women at the beginning of the 20th century. They raced cars, hunted, drove ambulances, and flew airships. Rinehart introduces Tish by explaining an unfavorable newspaper story. "So many unkind things have been said of the affair at Morris Valley that I think it best to publish a straightforward account of everything. The ill nature of the cartoon, for instance, which showed Tish in a pair of khaki trousers on her back under a racing-car was quite uncalled for. Tish did not wear the khaki trousers; she merely took them along in case of emergency. Nor was it true that Tish took Aggie along as a mechanician and brutally pushed her off the car because she was not pumping enough oil. The fact was that Aggie sneezed on a curve and fell out of the car, and would no doubt have been killed had she not been thrown into a pile of sand." 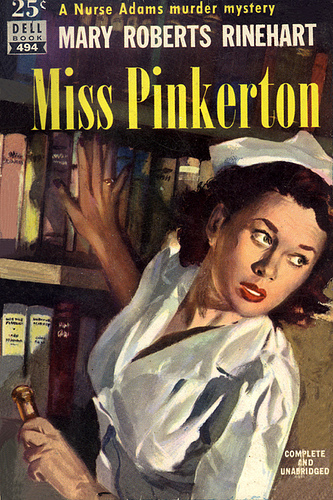 In 1914, we meet Hilda Adams, known as Miss Pinkerton, a nurse who does her fair share of sleuthing. Her detecting career begins in the story The Buckled Bag, when a patient she attends, a detective, suggests she might work for the police. All of Rinehart's female detectives are intelligent and possess the one absolutely necessary tool for people who live and work outside the box—a sense of humor. Millicent Newberry, created by Jeanette Lee, appeared in three novels beginning in 1917 with The Green Jacket. 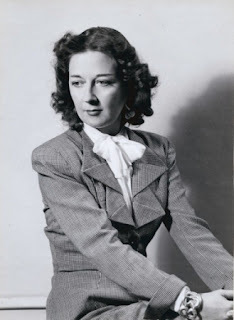 Unlike many of the female detectives of the era who worked for other agencies or police departments, Millicent began working at Tom Corbin's firm, but left to start her own detective agency. She was single, older, and from a middle class background, and lived with her ailing mother and a caretaker. Along with a great interest in psychiatry, Newberry had a unique approach to taking notes. She would knit while conversing with clients and encode her notes into the stitches. In 1922 she appeared in The Mysterious Office, and in 1925 in Dead Right. The other unconventional aspect of her practice was that she decided that if the criminal deserved a second chance, she did not report her findings to the police. Patricia Wentworth introduced Miss Maud Silver in the 1928 mystery Grey Mask as a secondary character. She was, according to Wentworth, a person with "small, neat features and the sort of old-fashioned clothes that were not so much dowdy as characteristic." She was also known for quoting the Bible and Tennyson. It wasn't until 1937 in The Case is Closed when the retired governess came into her own as 'a private enquiry agent' often assisting Scotland Yard, Inspector Abbott. In Death at the Deep End, book 20 of the 32 books in the series, Abbot described the comfort he derived from the woman. "Miss Silver, smiling at him from the other side of the hearth, her hands busy with her knitting, remained a stable point in an unsettled world. Love God, honour the Queen, keep the law, be kind, be good, think of others before you think of yourself, serve Justice, speak the truth—by this simple creed she lived. Si sic omnes!..." Like so many of the heroines of these early stories, Silver was effective because she wasn't taken seriously. She was a professional who relied on deductive reasoning and paid little attention to smug smiles and subtle or oblique criticism of her looks or skills. Dorothy L. Sayers introduced Miss Alexandra Katherine "Kitty" Climpson in Unnatural Death (1927). 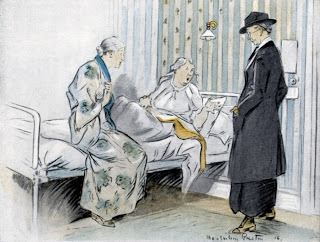 She owned a secretarial agency nicknamed the Cattery, which Lord Peter Wimsey helped to establish with an ulterior motive—to use her services in ways that often involved more investigating than filing or stenography. Kitty developed into an intelligent and resourceful member of his investigative team. 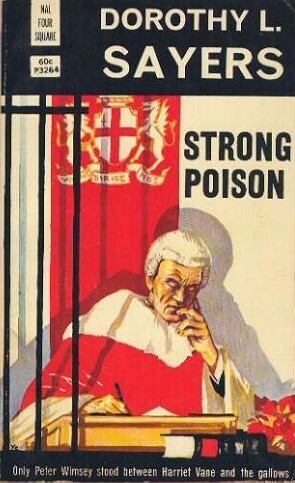 It was Miss Climpson's determination and clever planning that solved the mystery in Strong Poison (1930) and saved the life of another Sayers' female character of note, Harriet Vane. Harriet Deborah Vane was a crime fiction writer who Peter met and fell in love with after she was arrested for the murder of her boyfriend. 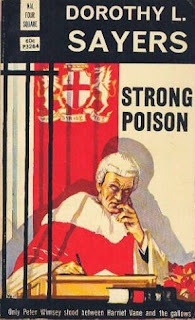 That fact that she lived with a man out of wedlock made her a criminal in the eyes of much of society, and her career as a writer of police fiction sullied her reputation further. Wimsey proposed to Vane while she was still in prison, but she refused his offer, before and after he proved her innocent. She worked with Peter on a case in the 1932 book, Have His Carcase, but it wasn't until the next Wimsey book, Gaudy Night (1935) that she accepted his proposal. The couple married in Busman's Honeymoon (1937). Sayers claimed to have introduced Harriet Vane to marry off Lord Wimsey and end the series, but the couple became such a hit that she continued their relationship and their characters with even more passion. 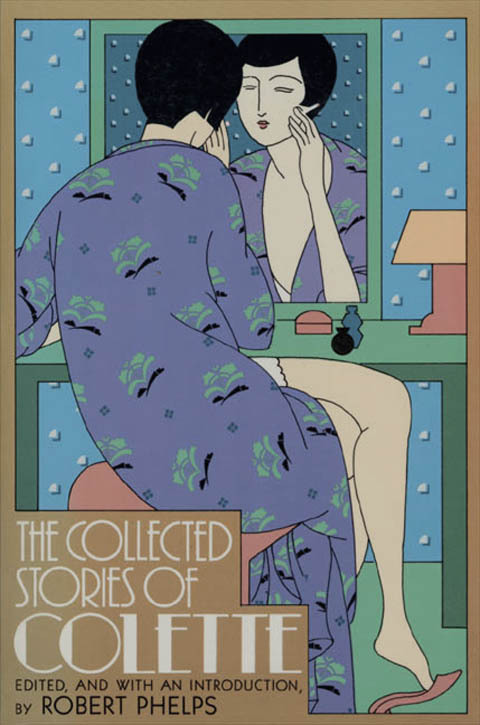 Gaudy Night is considered by some as the first feminist mystery novel, and Sayers did indeed comment on the growing restrictions on women in Nazi Germany. 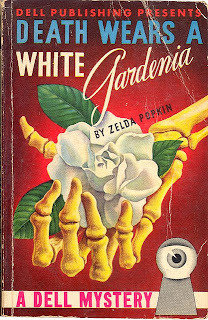 In 1938, Zelda Popkin introduced Mary Carner, considered the first modern female detective, in Death Wears a White Gardenia. Carner was a member of the security staff of a department store in New York City. According to Popkin, "Mary looked like year before last's debutante, last June's bride, this year's young matron. Prospective shoplifters, hesitating before a haul, never guessed that the pretty, well-groomed young woman in the oxford gray suit and kolinsky scarf, standing beside them at the counter, was far more interested in the behavior of their nimble fingers than in the quality of the step-ins, marked down from five-ninety-eight to three and a half." 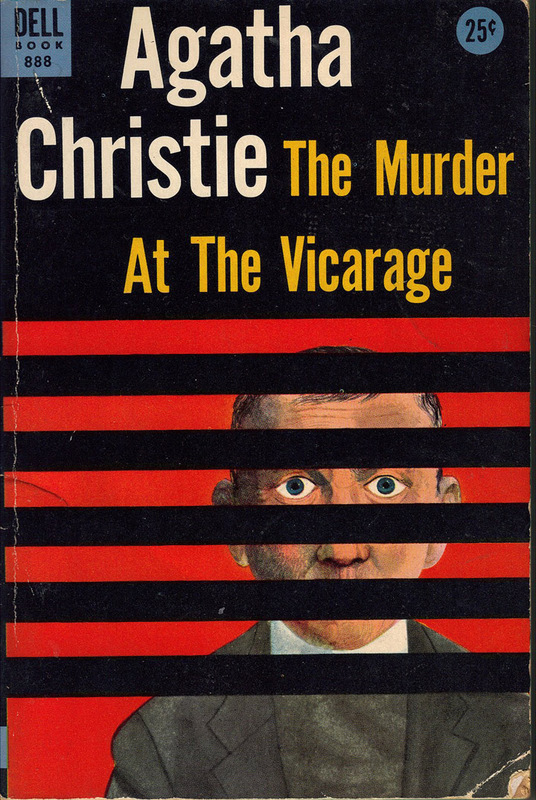 I had not read this series, but after reading the Time Off for Murder (1943) preview on Google books, have added them to my 'to read' pile. The series: Murder in the Mist, 1940; Dead Man’s Gift, 1941; and No Crime for a Lady, 1942. 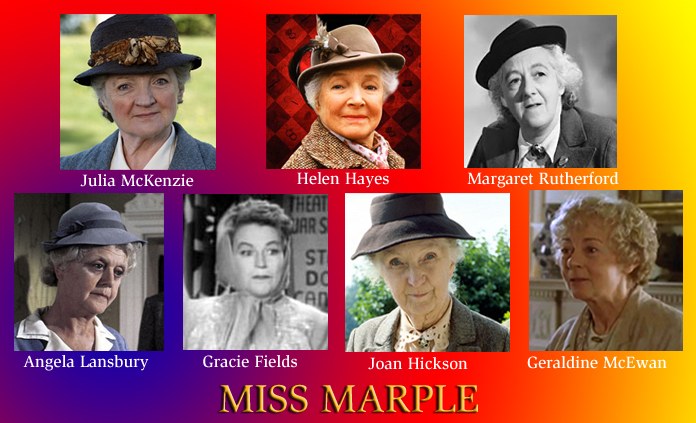 And last, but not least, the most familiar member of our female sleuth club, Miss Jane Marple. Agatha Christie introduced the well meaning meddler in 1926 in a magazine piece called The Tuesday Night Club. The story eventually became the first chapter of the 1932 book The Thirteen Problems, but it was in 1930, in The Murder at the Vicarage, where we first visited Jane in her home town of St. Mary Mead. 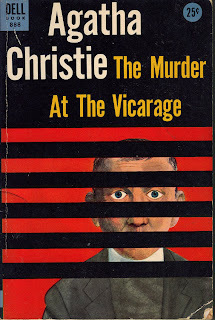 Dame Christie revealed in her autobiography that the inspiration for Marple: "the sort of old lady who would have been rather like some of my grandmother's Ealing cronies—old ladies whom I have met in so many villages where I have gone to stay as a girl"
We spend our lives solving puzzles, problems, and mysteries of various kinds. It is no surprise that the intuitive abilities to which women readily turn, offer some of the best solutions. As you may have guessed, this post was a pleasure to research and share. Because of these women, (and others there wasn't room to list) the very popular category of 'female sleuth' continues to entertain and delight readers around the world. That is great inspiration for someone who has only been writing mysteries since 2004. I am humbled, inspired, and anxious to continue learning from these remarkable voices. I've written poetry most of my life, but it was not until my mid-fifties that I attempted the challenging process of fiction writing. I had been seeking distraction, and writing provided that and much more. In the years since starting the journey, writing has pressed me to look closer and listen harder, to seek answers beyond my limited view of the world. It has helped me become a better person, and, I can only hope, it contributes to my continuing efforts to become a better writer. Articles discussing, or contributed by inspirational women. Enjoy!